Since its record-breaking premiere, A Clockwork Orange has become an undeniable cultural god standard in cinema. 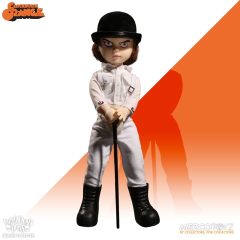 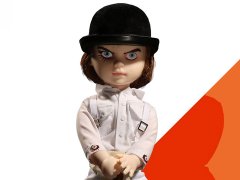 Now, the iconic leader of the Droogs joins the Living Dead Dolls with all the attention to detail fans clamor for. Standing 10" tall with 5 points of articulation, Alex features trademark eyelash deco, film accurate cloth outfit with codpiece, flocked bowler hat, eyeball cufflink detail and a cane with hidden dagger. 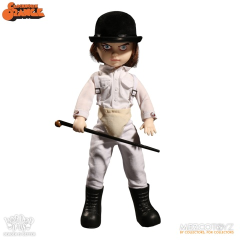 Alex comes packaged in a deluxe die-cut window box featuring film-specific graphics.